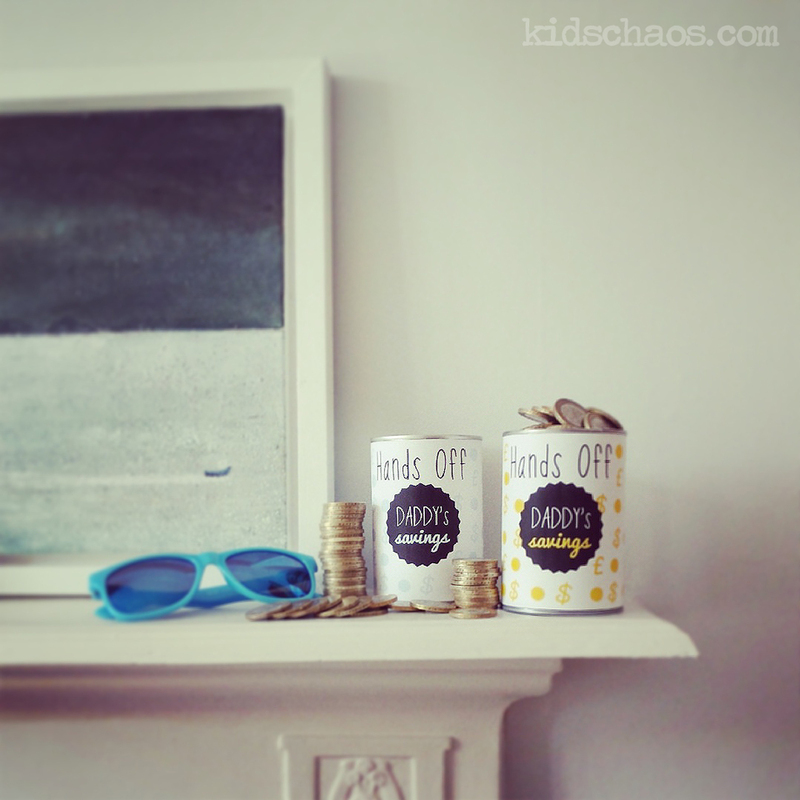 How about a Tin Can Savings Tin? We decided to tidy up the favourite shelf for Mr.KidsChaos, our bedroom mantle piece.To assist with the tidying, we made him some Savings Tins, and they look nice too don’t you think? 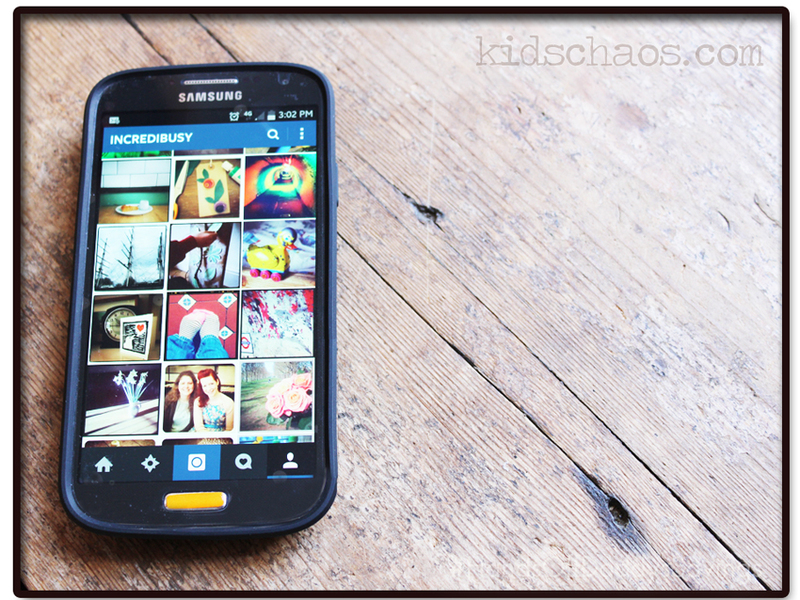 Can we call this photo a #Shelfie? Our bedroom ‘Shelf’ is often very cluttered, with our favourite wedding pressie painting from Jill Barker & Jonathan at Middlewick, and the odd pair of his daft colourful sunglasses. His collection of coins tumble constantly, as they get knocked and fall to the floor and it makes me go a little crazy!! The kids decided he needed somewhere to save his £2 coins, and told me what the text should read on the tin cans. They picked the colours, and I designed the graphics. Bonus is, you can print these off and do the same thing too, for FREE! 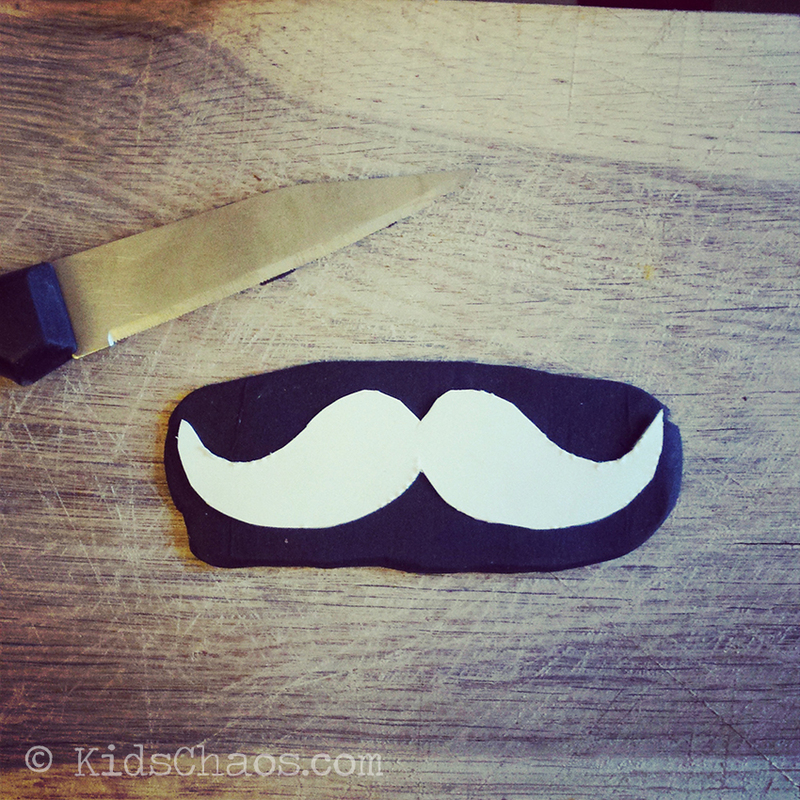 Simply print them off here, and trim them out, and glue them on to your clean tin cans. Don’t tell him, but I often BORROW the odd coin when we’re dashing off to Martial Arts club, or Cubs…. Sssh, he never reads this anyway, he’ll NEVER know. 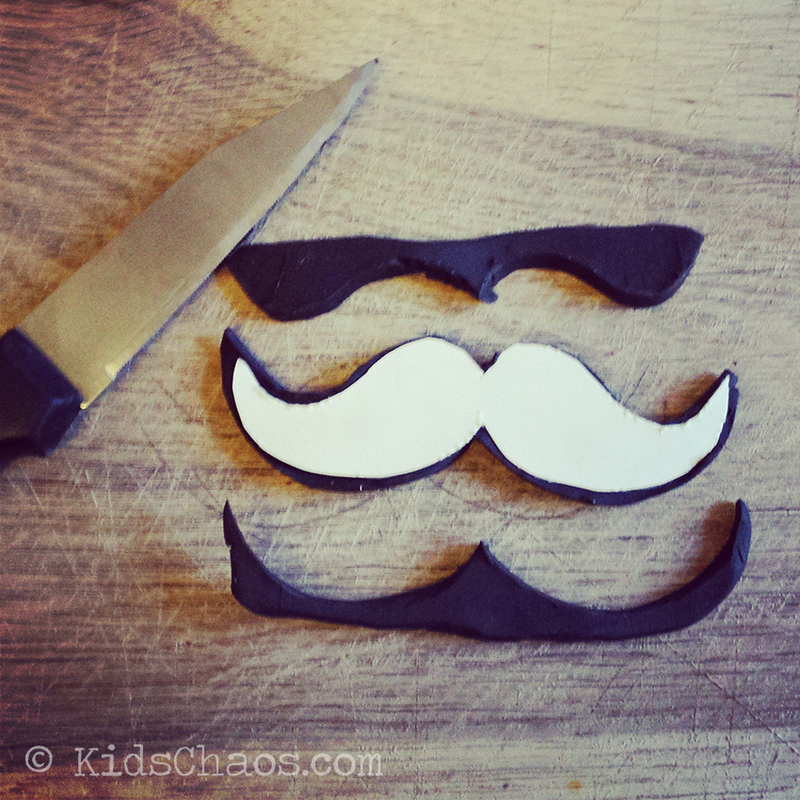 Perhaps if he saves enough, I could BORROW some of it for a bit of Bathroom DIY…watch this space! 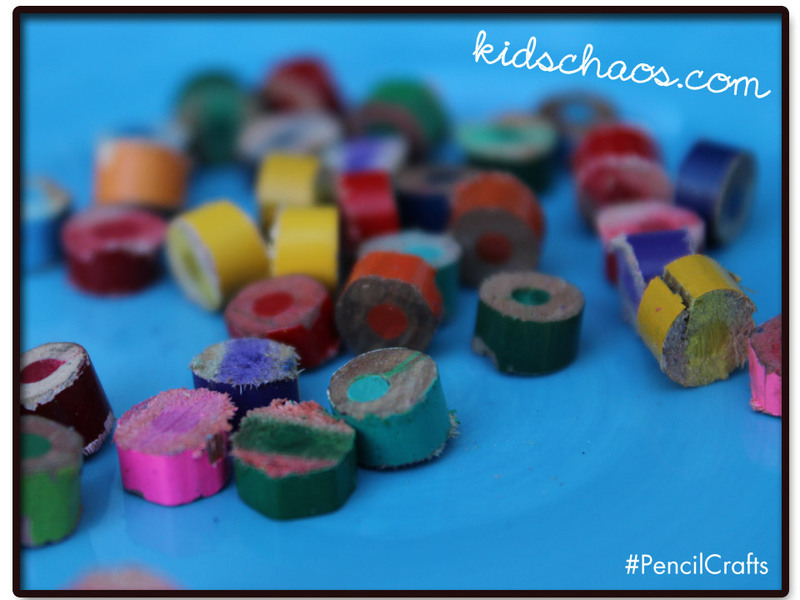 For more FREE printables for tin cans, click here for a fun game for the summer – kick the can. 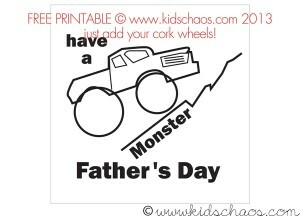 For more FREE Father’s Day Printables, try our Monster Truck card and Jigsaw Puzzle Cards. 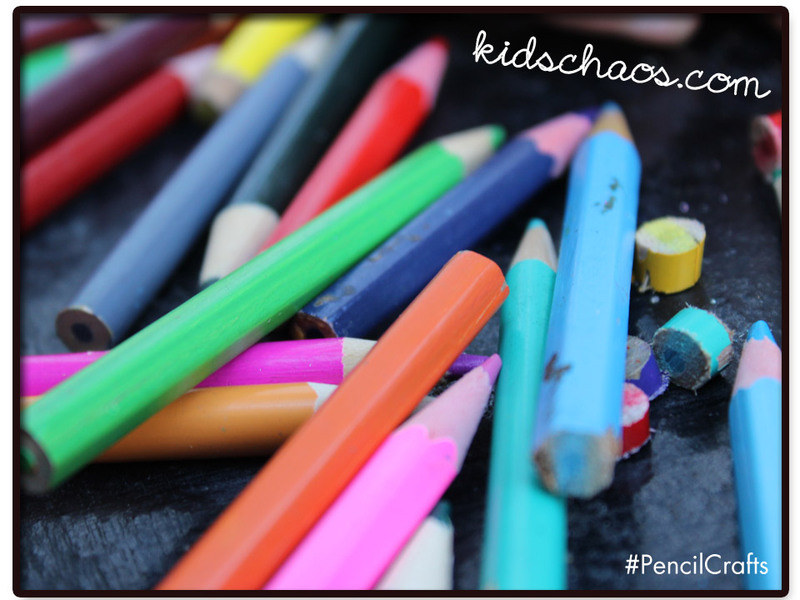 And other uses for bean tins, and soup cans can be seen over on A Greener Life For Us, using up old paint to make plant and pencil pots click here. 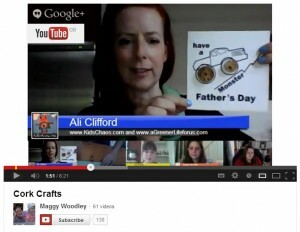 Oh, and I’m on twitter.com/MoreKidsChaos too… Erm, and funnily enough on Google+, Facebook and Pinterest! Pop over to say hello x Like it? Pin it! 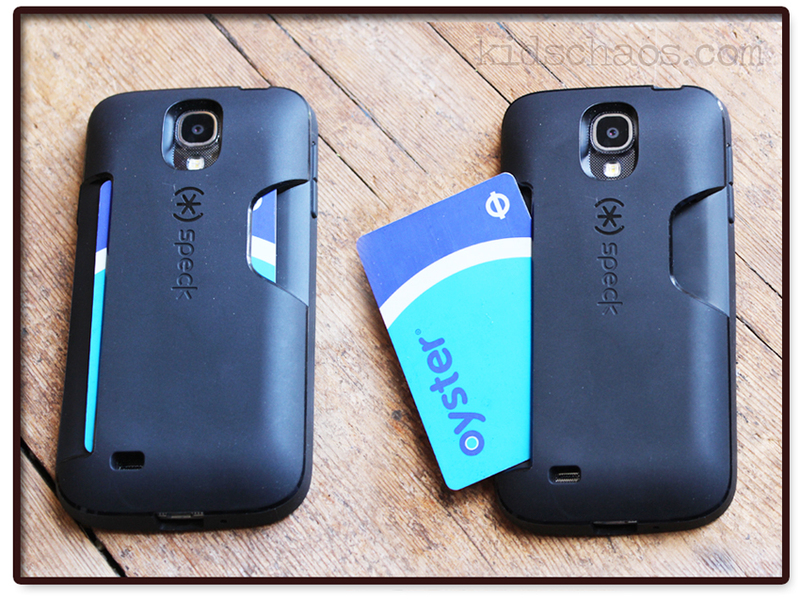 I love that I can just keep my Oyster card in the back of the ‘phone case, and if I’m out on the town, I can pop in a credit card or some ‘folding-money’ (can’t say that without singing the Fall‘s f-olding money). 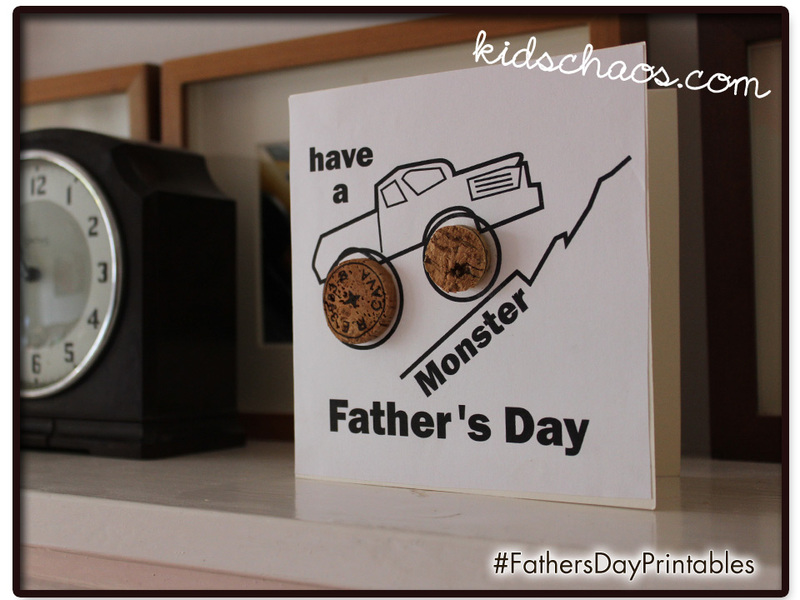 A nice quick and easy Father’s Day Monster Truck card for you to download, print off, and add your own touch with these slices of cork… any excuse for another glass of wine eh?! 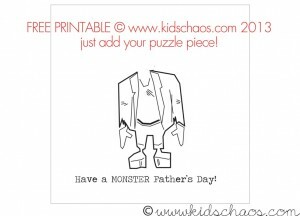 Click here for our other VERY popular Jigsaw piece printable Father’s Day card, so you can have one of each! 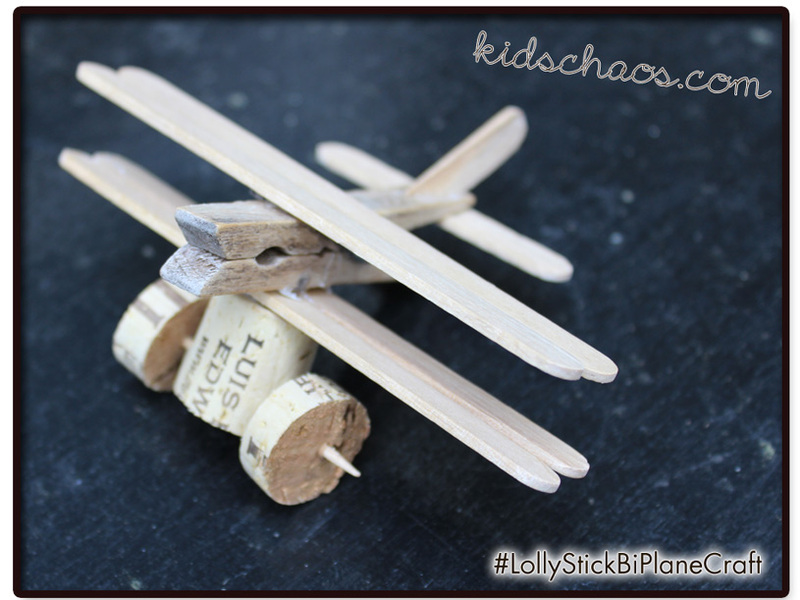 We had previously used slices of corks for wheels on our bi-plane pictured here…click the image to read more about THAT craft too! 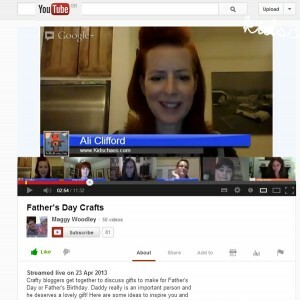 I hung out on Google+ for a bit of a vlog… with some craft buddies to share these cork crafts, hosted by the ever lovely Maggy from Red Ted Art who showed us several cork crafts, some CUTE Knights and Santas including printed bunting in her book. 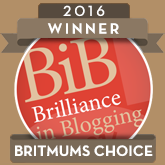 Pop back later for more links to Anthea, Kelly, Liz, The Fairy and the Frog, and Rebecca. 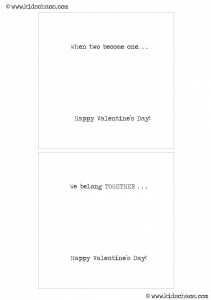 So – the challenge to MAKE something with spare jigsaw puzzle pieces… And I think we’ve cracked it with these greetings cards. 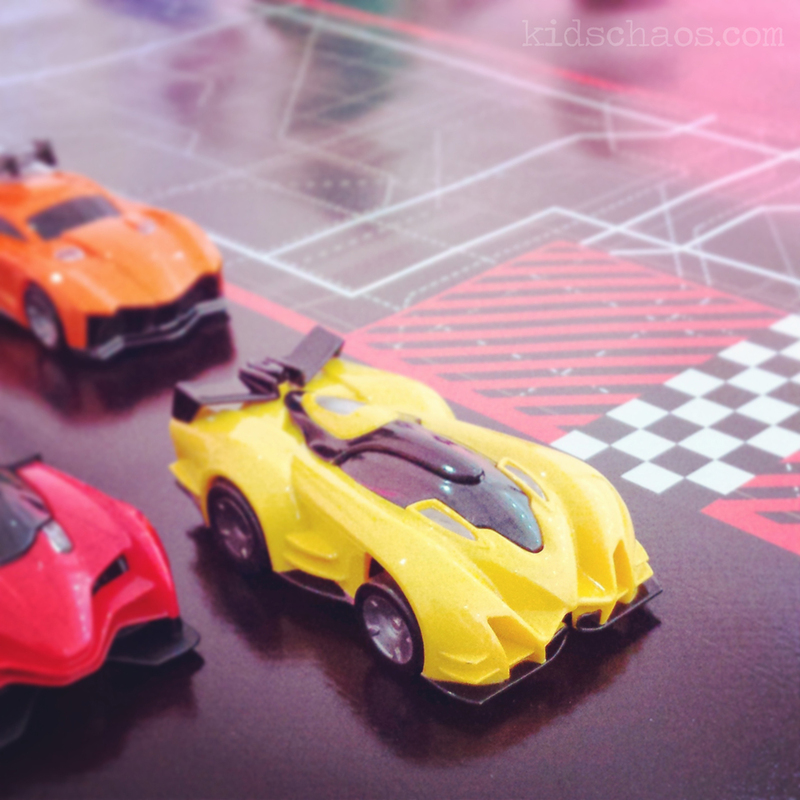 The shape of the puzzle piece with the ‘sticky out bits’ inspired us to think of Frankenstein’s monster, with the bolts in his neck, so we drew his body attached his head, with some googly eyes and requisite ‘scars’ and away you go! 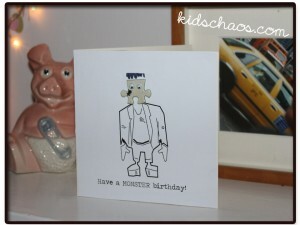 Ideal for a Father’s Day card, or a MONSTER Birthday card . 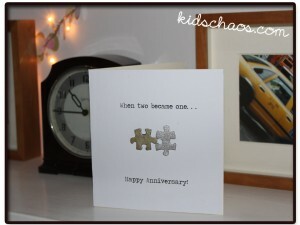 A second idea is a nod to the two parts of the puzzle making ONE, so it’s great for an anniversary, or wedding card. And equally adding a third piece for a new baby card! 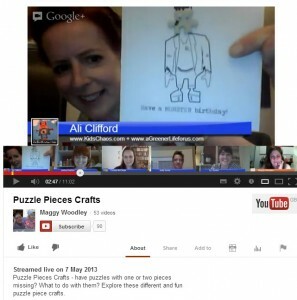 A few crafty types came together on Google+ to discuss our jigsaw puzzle craft idea – watch it here. You’ll also be able to see our host Maggy Woodley’s Coasters, Fridge magnets, trees, snowflakes and trees; Crystal’s Brooches, Kelly’s bird puppets, Lizzie’s Family photo keyrings, Anthea’s puzzle resin crafts. 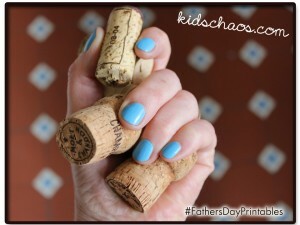 If you’d like to see MORE ideas for Father’s Day click here. 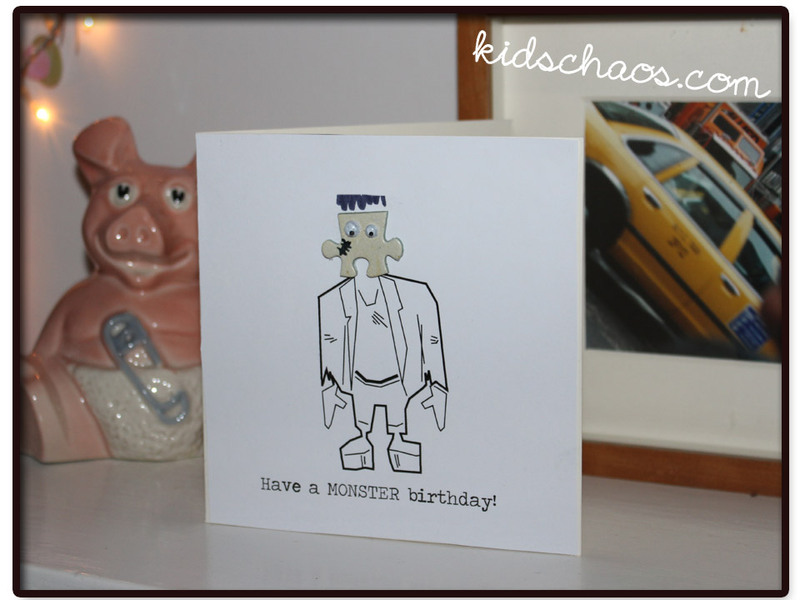 And more MONSTER crafts here. 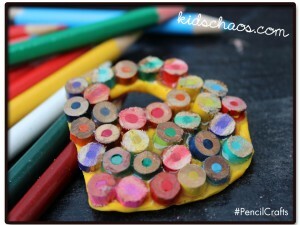 Oh how I struggle to throw anything away, particularly, if it’s small and sweet like these tiny pencil stubs I’ve been squirreling away for some time! What to do WITH them? 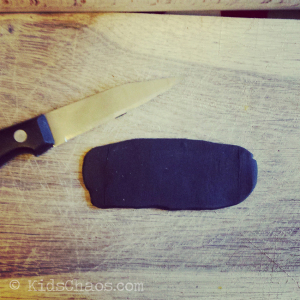 10yo came up with this bright idea…A key ring for Father’s Day in the shape of D for DADDY. You DO have to use a saw, so be careful and ‘get an adult to help’ – but seriously, this craft is SO photogenic, we couldn’t help but take LOADS of pictures! 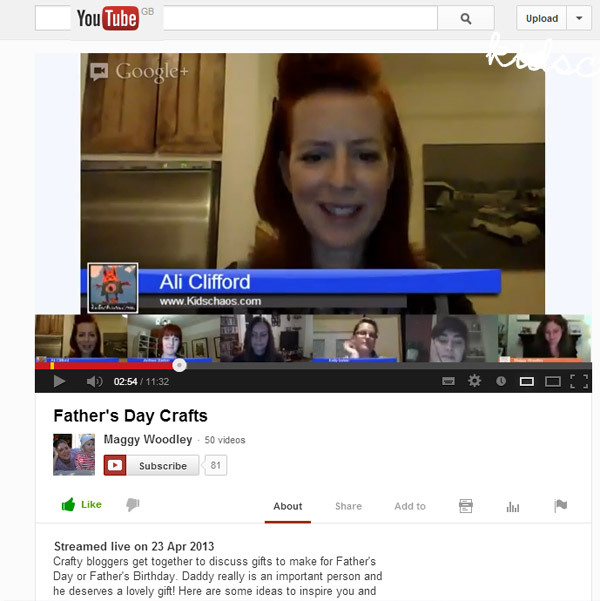 This craft featured on a youtube google+ hangout hosted by Maggy Woodley at Red Ted Art and also featured Lizzie from Me and My Shadow, Anthea, Kelly, and Crystal (links to follow) click the picture to watch us! Oh, and I’m on twitter.com/MoreKidsChaos too… Erm, and funnily enough on Facebook andPinterest! Pop over to say hello x Like it? Pin it!